Having completed a degree in industrial design, Daniel’s career started in a different industry before a close friend recognised his potential to excel in real estate. 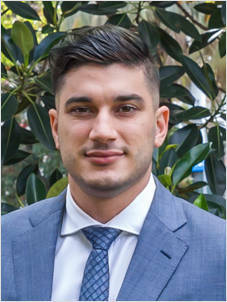 Daniel has now successfully adapted within the industry as a Sales Consultant and loves being part of the team at Laing + Simmons Parramatta. Having grown up in Oatlands, Daniel has lived and breathed the local Parramatta area and has a vested interest in giving back to the local community. His outstanding communication and negotiation skills combined with his ability to network will be key in providing his clients with a premium service. Daniel’s day to day role involves listing and selling properties, as well as working closely with each client to meet their specific needs. Daniel believes that communication and trust play an important role in building strong relationships with current and potential clients.